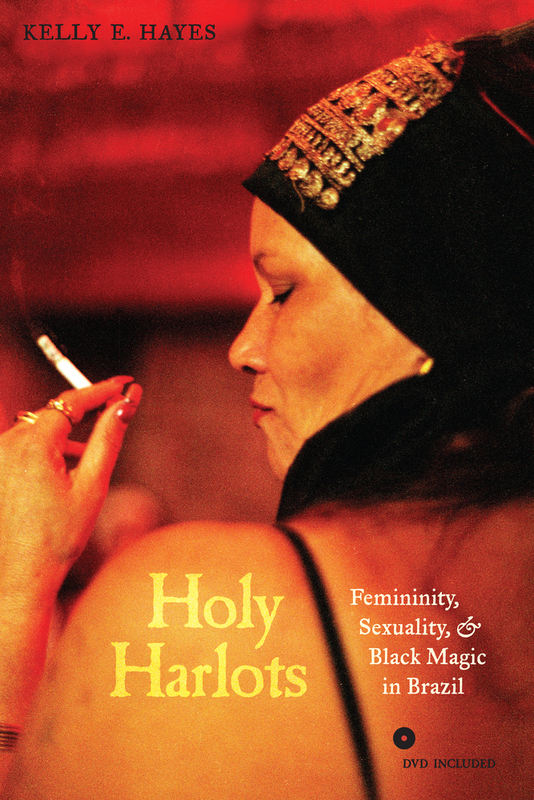 Holy Harlots examines the intersections of social marginality, morality, and magic in contemporary Brazil by analyzing the beliefs and religious practices related to the Afro-Brazilian spirit entity Pomba Gira. Said to be the disembodied spirit of an unruly harlot, Pomba Gira is a controversial figure in Brazil. Devotees maintain that Pomba Gira possesses an intimate knowledge of human affairs and the mystical power to intervene in the human world. Others view this entity more ambivalently. Kelly E. Hayes provides an intimate and engaging account of the intricate relationship between Pomba Gira and one of her devotees, Nazaré da Silva. Combining Nazaré’s spiritual biography with analysis of the gender politics and violence that shapes life on the periphery of Rio de Janeiro, Hayes highlights Pomba Gira’s role in the rivalries, relationships, and struggles of everyday life in urban Brazil. A DVD of the film Slaves of the Saints is included. Kelly E. Hayes is Associate Professor of Religion at Indiana University.